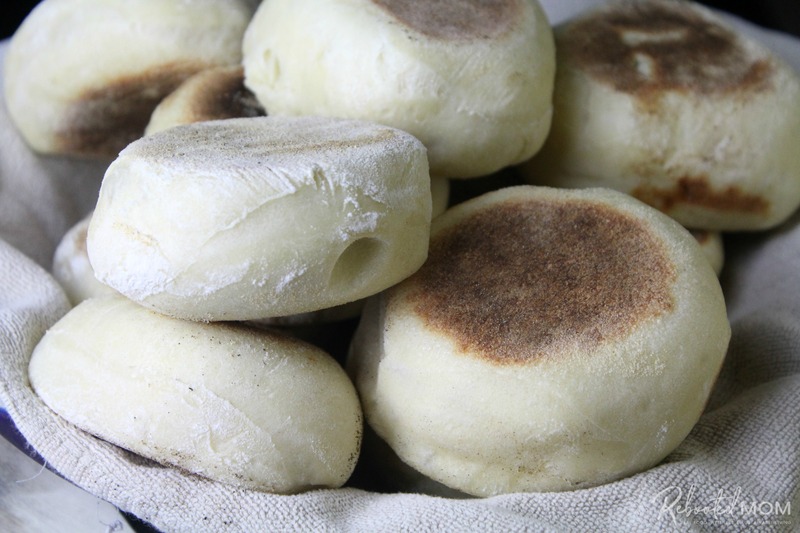 This Sourdough English Muffin recipe makes incredibly fluffy, soft and delectable muffins that are perfect for a quick breakfast! 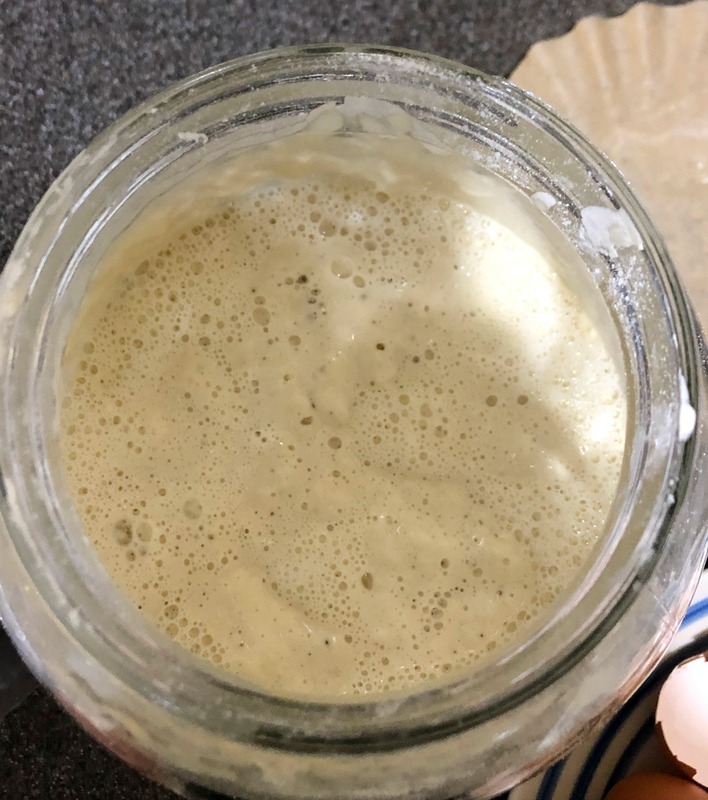 The last few weeks have been an overwhelming amount of flour in our kitchen.. an active sourdough starter (which we named “Sid”) and lots of yummy recipes. One of the most rewarding things next to making your own cheese is being able to pull out your homemade sourdough starter and whip up the most delicious breads. Who doesn’t love fresh baked bread? I’ve reached a deeply profound love for my sourdough starter. I feed it once or twice a day, and if I get too busy, I’ll sometimes toss in the fridge. This sourdough starter has reliably made this English Muffin recipe now for quite a long time. I say that with definition: reliably. No matter what the circumstance, these english muffins always turn out tall and fluffy. The insides are soft, beautifully enjoyed with warm butter or even honey butter. Or jam – but who’s keeping track? The recipe makes aa whopping 13-14.. but if you can’t eat that many, don’t despair. Simply cook them up, and then once cooled, place them in a gallon ziploc and toss in the freezer. They freeze beautifully. Pull out as needed. Then toss in the toaster (or on the griddle) before smothering with your favorite topping. Using a sourdough starter can be tricky at first. Once you start your sourdough starter, allow it 4-5 days of feeding before making these english muffins. You’ll want to feed your starter and allow that starter to sit and do it’s “thing” at least 3-4 hours before starting this batch. I opt for a 1:1 hydration with my starter – so it tends to be rather wet. As a result, you’ll want to make tweaks to your flour ratio as you begin mixing the muffins. Though I have made english muffins the traditional way (yeast), they don’t compare to these sourdough english muffins. These sourdough muffins rise so much more and are beautifully soft. Delicious is what they are, and quite easy to make. The majority of the time is spent waiting for the rise. While I’ll be the first to admit that these are perfect smothered with butter or jam and eaten at breakfast, that’s not all they are good for. Ever since I was a young kid, I remember my mom making us english muffin pizzas for dinner. We simply split them apart, and ladled on the pizza sauce and cheese before asking our mom to lightly toast them. If you have kids, it’s a quick and easy dinner when you are in a funk.. feeling rather stressed, and with limited time to cook. 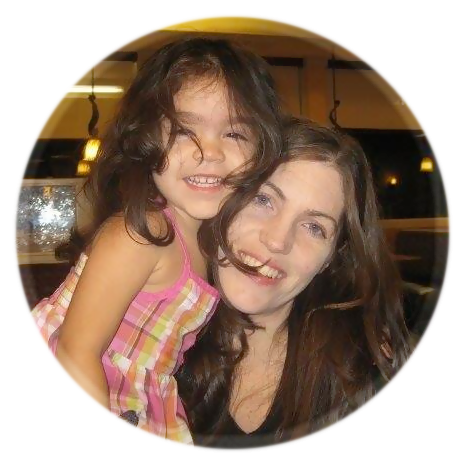 You can feel good that you are giving your kids a wholesome meal that you created yourself. It’s also something that everyone absolutely loves. Skip this step by step and move on to the far bottom to see the recipe card. If you are looking for a step by step, then you’re in the right place! Add the flour, starter, salt, sugar, egg and butter to your mixer bowl. Using your dough hook, throw the mixer on slow until it starts to come together. Then flip the mixer on medium (notch 3-4) and let her go for a good 4-5 minutes. Check out the dough – it shouldn’t be too wet. If it is, add a little extra flour (a Tbsp at a time). The dough should come together quite lovely on your dough hook with some still sticking to the bottom. Dust your counter with flour and drop the dough on the counter. Knead the dough for a good 3-4 minutes until smooth. Toss some extra flour on the surface of the dough to keep your hands from sticking to the dough. Wash out that mixer bowl, then dry it well. Coat it with a little olive oil and drop your dough in there. Cover the bowl with plastic wrap and allow it to sit in a warm corner of your kitchen for 4-5 hours. It should double in size. After that time, dust your counter with more flour – be generous this time around. The dough will stick if you aren’t! 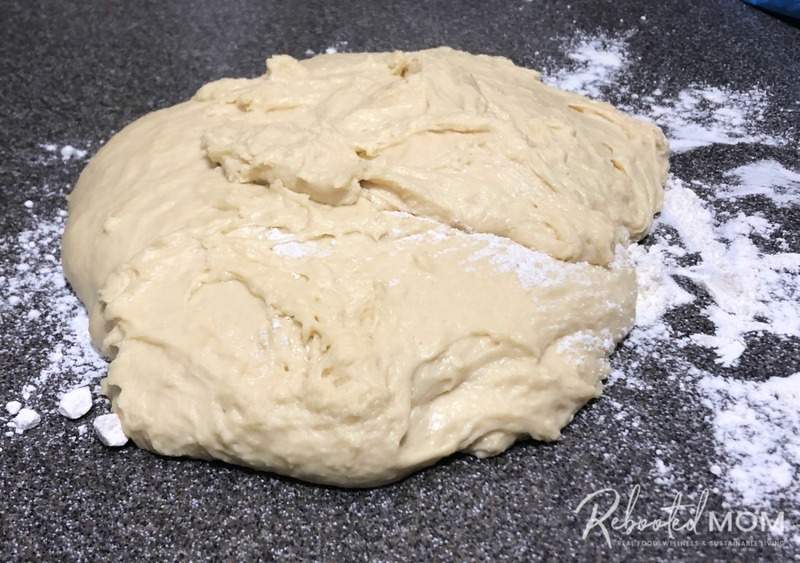 Dump the dough out on the floured counter and push it into a circle, about 3/4 to 1″ thick. Use a wide mouth canning jar to cut out the english muffins. You should get about 8 (depending on the size of your cutter). Dust your sheet pan generously with corn meal, place the cut out muffins on the pan. Take the extra dough and re-roll the scraps, re-cut additional english muffins (the scraps gave us 5 more). Allow those english muffins to sit, undisturbed, for another 45-50 minutes. During that time, they should rise slightly. Once that time has passed, heat your cast iron skillet or double griddle to between low/medium. Once it is hot, place your english muffins on the griddle. Cook on each side until lightly browned – then flip. During this time, they should puff up quite generously. Aim for 4-5 minutes on each side, before flipping. Once they are done, transfer to a wire rack to cool. Once they are all completely cooled, enjoy them with your favorite spread or topping. From this point on, you can store them in the freezer or enjoy over the next several days. Add the flour, starter, water, eggs, butter, came sugar, and sea salt to the bowl of your KitchenAid mixer. Mix on low just until it comes together. Crank the mixer on notch 3 or 4 and let it mix away for a good 4-5 minutes. You might need to add additional flour (1 Tbsp at a time) - especially if your starter is a wet one. 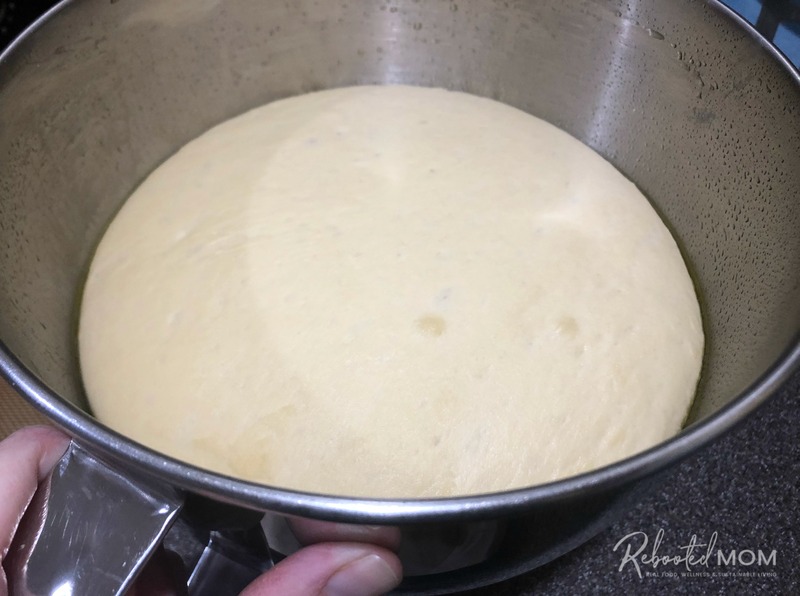 After 4-5 minutes, the dough should come together nicely around the hook, with some still being stuck on the bottom and sides of the bowl. Dust your counter with flour, drop the dough on the counter. Flour the dough to make it more workable, and knead with your hands for 3-4 minutes. Wash out your mixer bowl, then grease with oil - drop the dough in there and cover tightly. Set it in a warm spot in the kitchen, it should double in size over 4-5 hours (or more if nneeded). Dust your counter with more flour/semolina. 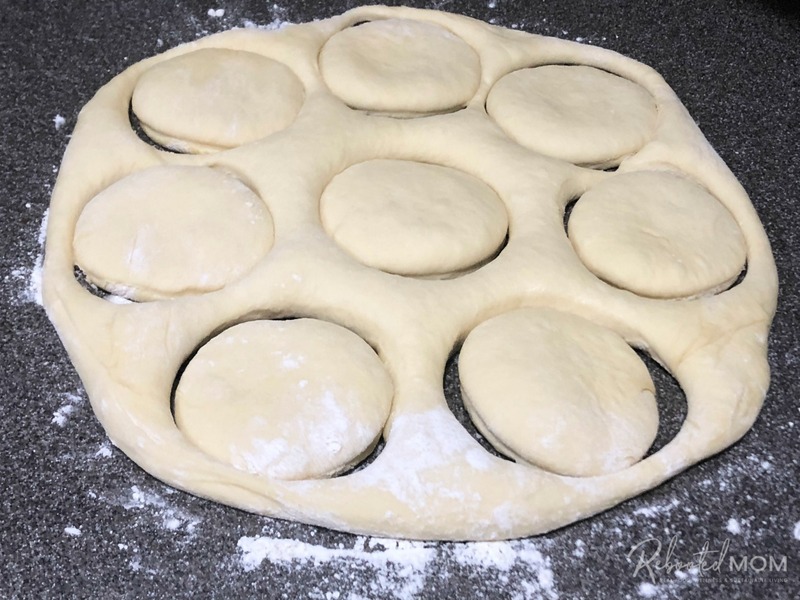 Dump the dough out once aagain, and push into a large circle, 1" in thickness. 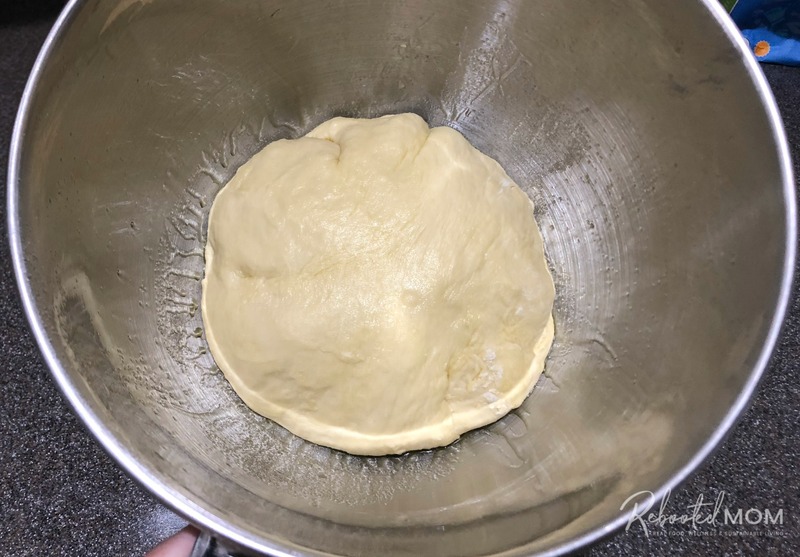 Use a wide mouth canning jar to cut circles from the dough. You should get 8 depending on how thick you roll your dough. Re-roll the scraps - repeat to cut more circles until you arae done. Dust your sheet pan with flour/semolina. Be liberal - the muffins will stick. Place your cut muffins on the sheet pan, cover loosely with a damp rag or with plastic. Allow the muffins to rise for another 45-50 minutes. Once that time haas passed, heat your cast iron skillet or double skillet between low/medium. Once hot, place the cut out muffins on the pan. Cook for 4-5 minutes on each side, until light brown. Fiip, and repeat. Transfer to a wire rack and cool. Repeat until all have been cooked. Once cooled, enjoy - if not eating immediately, store in a zippered gallon bag. Cooked sourdough english muffins can be kept in a gallon ziploc bag and frozen until ready to eat. Just remove one or two, and toast before enjoying. 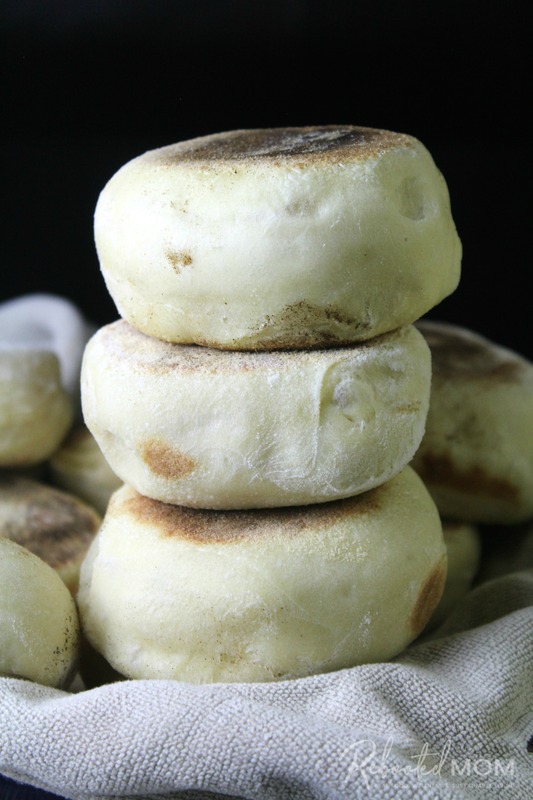 Did you make this sourdough english muffin recipe? If so, please please tag us @RebootedMom in your Instagram post! I hope they turned out as fabulous for you as they did for us! 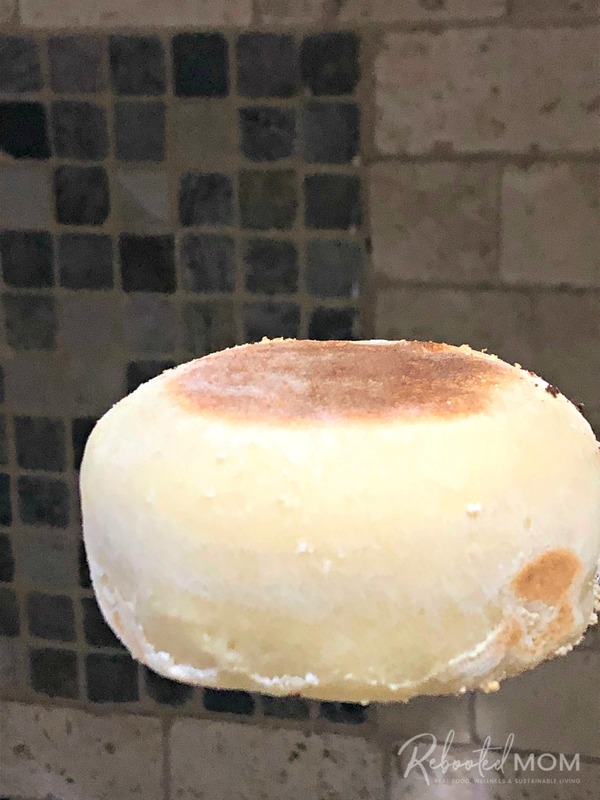 Share the post "Sourdough English Muffins"